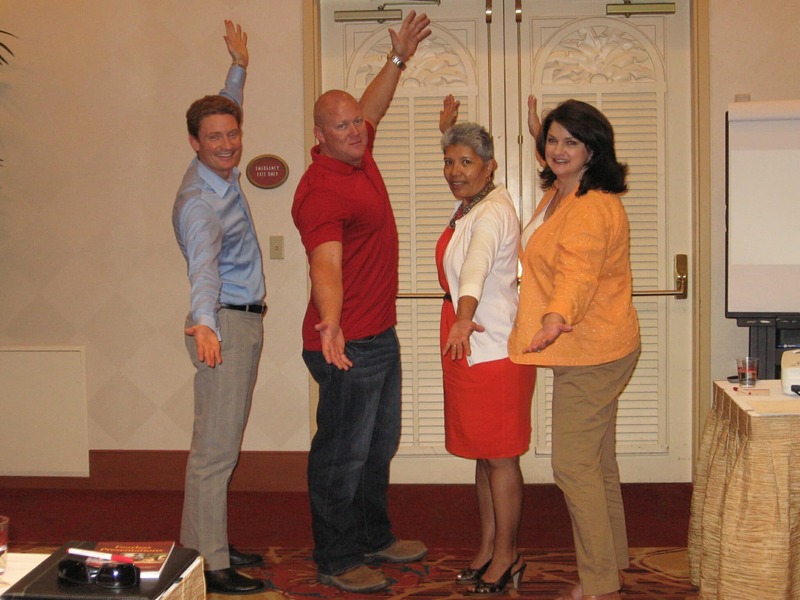 Presentation skills class in Las Vegas helps participants become stronger, more confident presenters. The Leader's Institute® returned to Las Vegas, Nevada to teach its two-day presentation skills class to a small, but mighty group of enthusiastic participants. This group was by no means shy, and they all came to take the class for a variety of reasons: overcome public speaking fear, find ways to add impact to presentations, or take presentations to the next level. By having a smaller group, the instructor is able to give in depth one-on-one coaching and coach participants according to their personality type. The class is designed to identify which type of speaker each individual is according to a four personality type method, and then identify the strengths and weaknesses of each type of speaker. It's not a one-size-fits all approach. It's all about maximizing the strengths and providing ways to overcome the weaknesses for each individual. Whether you are looking to overcome public speaking fear, or sharpen presentation skills, the Fearless Presentations® class guarantees that you will become a better presenter. This presentation skills class is offered in Las Vegas, Nevada, and cities across the U.S.